The Carrera, which means “race” or “career” in Spanish, is a name that harks back to the infamous Carrera Panamericana from the 1950s, a grueling and dangerous five-day, 3,300 kilometer endurance race across the Mexican portion of the Pan-American highway wherein 27 racers and spectators died in the five years of its existence. This was the name Jack W. Heuer named the first chronograph created under his watch after he took controlling stake of the Heuer watch company in the early 60s. It was launched at the Basel Fair in the spring of 1963 and was a chronograph specifically designed for drivers and motor-racing enthusiasts. It had a wide-open, easy-to-read dial, and was protected by a shock-resistant and waterproof case tough enough for road wear. It’s been 55 years since then, and to celebrate 55 years of the Heuer Carrera TAG Heuer has released a two-prong homage. On one hand, is the collectors-only limited edition TAG Heuer Carrera “Tête de Vipère” Chronograph Tourbillon Chronometer, an ultra-sophisticated ceramic tourbillon chronograph, which is the brand’s most modern interpretation of the Carrera, yet. While on the other is the TAG Heuer Carrera Calibre 16 Chronograph, a true commemorative edition that returns to the classic down-to-Earth styling of the very first Heuer Carrera. 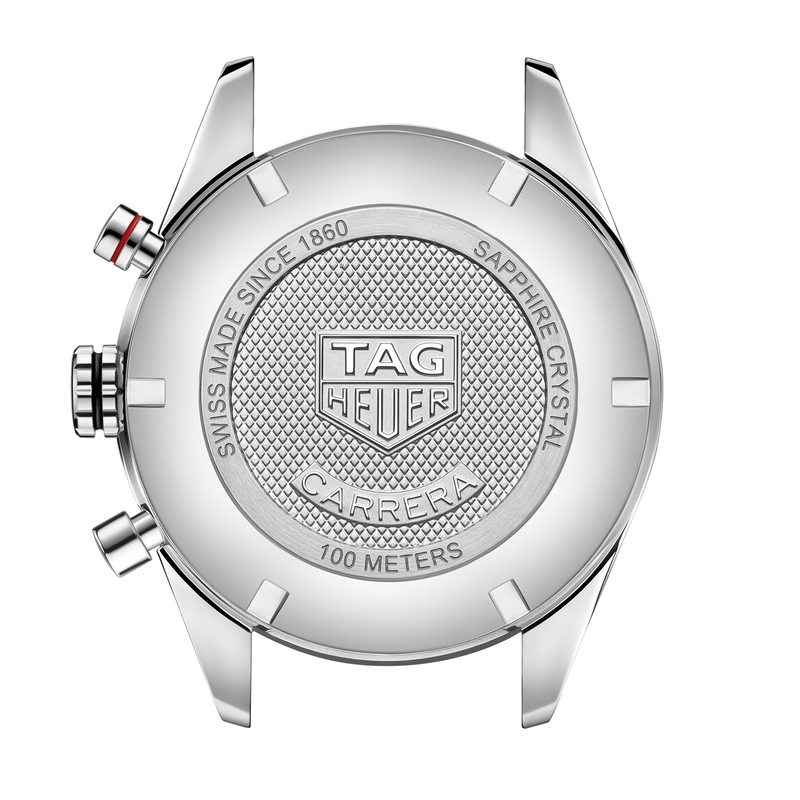 A few years ago, TAG Heuer had begun repositioning itself from the previously ultra-high-end watch manufacturer it became back down to the entry-level go-to brand for young, aspiring individuals ready to purchase their first mechanical Swiss watch it had originally positioned itself years ago. To that end, the new TAG Heuer Carrera Calibre 16 Chronograph fits the bill perfectly. And to grab the attention of these aspiring Millennials, TAG Heuer made sure the new vintage-inspired TAG Heuer Carrera Calibre 16 Chronograph had style to spare with two versions of its 41mm stainless steel case. 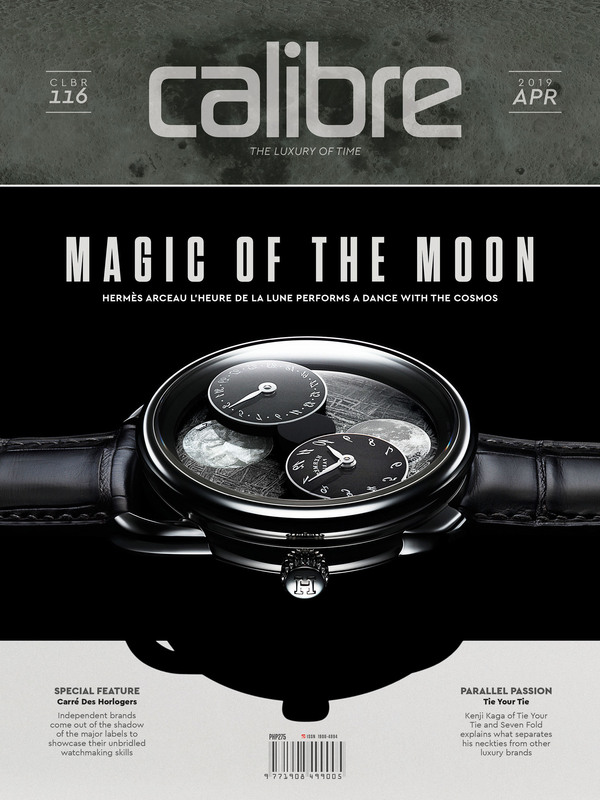 The first is Ref–CV201AP.FC6429, a version with a black dial with red highlights, matched with a black ceramic bezel and a black leather strap with red stitching, while the second version is Ref-CV201AR.BA0715 with a blue dial and red highlights, which is matched with a blue ceramic bezel and a steel bracelet. Water resistance is 100 meters with the blue model getting contrasting steel finishes: polished on the case, pushers and crown, and brushed on the bracelet. 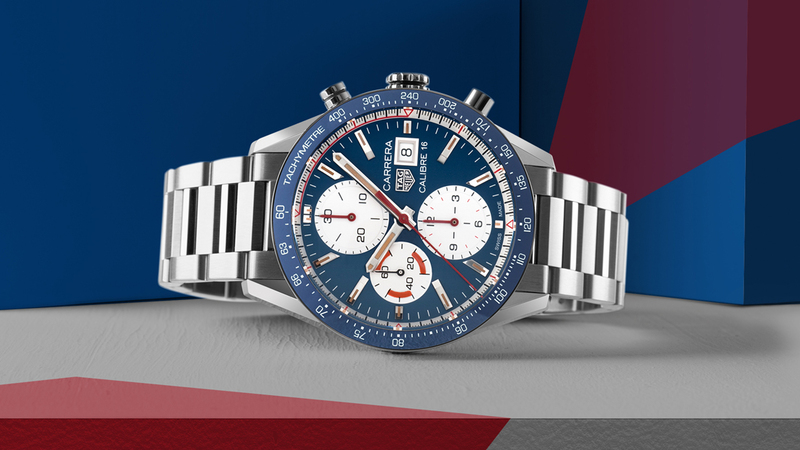 Both models feature tachymeter scales with white markings on their bezels, and an interior bevel that displays a 60-second scale, a welcome nod to the past, which Jack Heuer introduced to keep the dial Carrera as clean as possible. 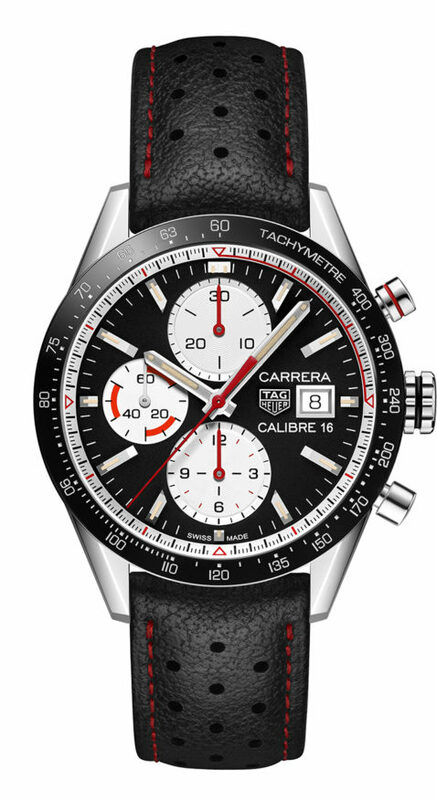 Powering the TAG Heuer Carrera Calibre 16 Chronograph is the TAG Heuer Calibre 16, a modified version of the ETA 7750/Sellita SW500, which is regarded as the most successful chronograph movement ever made with a practically indestructible self-winding mechanism. Thus, the Carrera Calibre 16 Chronograph has a minute counter at 12 o’clock, an hour counter at 6 o’clock, and a seconds counter at 9 o’clock, with chronograph hands that stand out in a bright red color. This chronograph layout harks back to the “Lemania” Carrera powered by the famous Lemania 5100 movement, which featured the same chronograph layout as the Calibre 16. This was the final model of the Carrera range to appear in the mid-80s (before the model was originally phased-out), and was the direct result of Jack Heuer’s sale of his company to the consortium of investors led by Piaget and Nouvelle Lemania in 1982. Further, some people have an issue with the faux vintage lume on the hands and hour markers, but as homage to the very first Heuer Carrera the vintage-looking beige Super-LumiNova makes perfect sense. 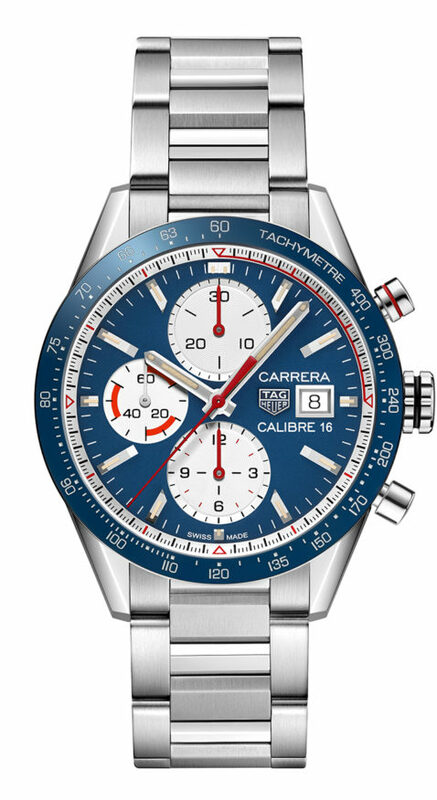 Beauty, as they say, is in the eye of the beholder, and if TAG Heuer did their due diligence (and they most likely did), their 18-35 year old target market should eat up this smart looking and very stylish chronograph.